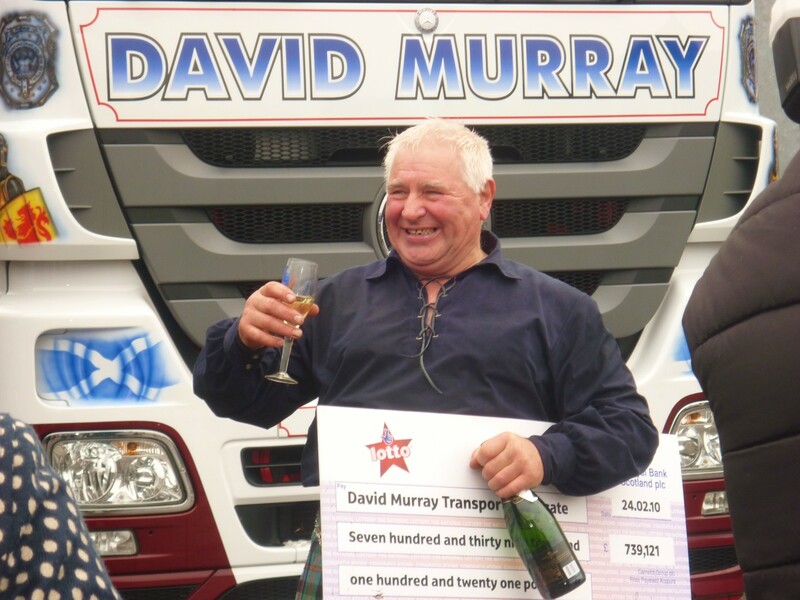 David Murray started out in business on his own in 1987 when he purchased his first vehicle to undertake the haulage of agricultural produce for a local Carnoustie company. 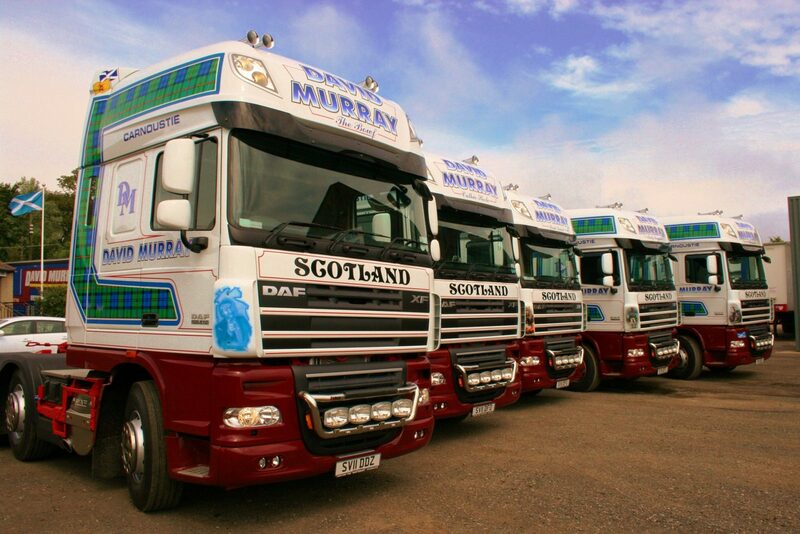 David Murray Transport has a majority fleet of DAF vehicles. The company’s fleet of 45 trailers are 45ft curtain-siders of varying makes from the latest SDCs to Montracon & Dennisons all of which are ideally suited to the company’s prime haulage of drinks and dry goods. Two of our trailers are fitted with tail lifts to accommodate delivery work. 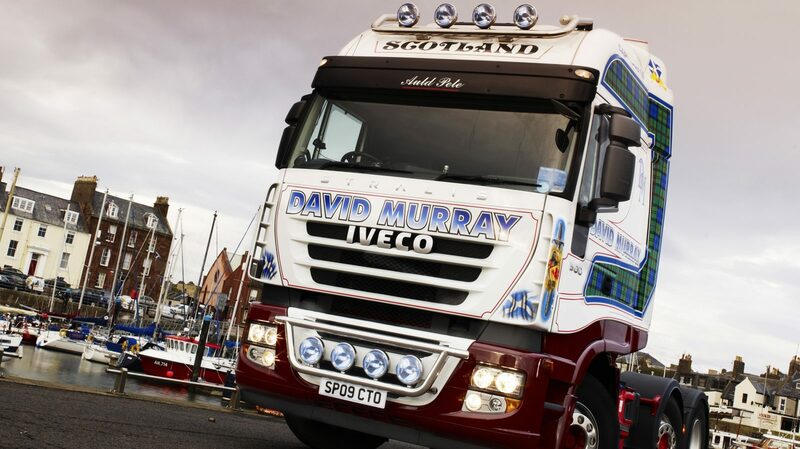 David Murray Transport also operates a well-stocked workshop which is in regular use as all the vehicles are maintained by our full-time mechanics to the highest possible standards. To maintain the image of the company, the tractors and trailers are washed every weekend when they return to the base at Carnoustie. A purpose-built wash bay has been constructed for this purpose. Trailers are maintained to the highest standards which every customer will find more than meets their requirements both internally and externally. Dave was tragically killed in a Motorcycle accident on the 30th September 2011. Those of us fortunate to have known Dave have sadly lost a true friend - "What a character, What a man, What a big heart" as his close biking friend Scott Roberts said at his funeral. Dave was a larger than life, unforgettable character, proven by him having one of the biggest attended funerals ever held at Friockheim Crematorium. He was a great family man and very proud of his Scottish Heritage. He loved to hear the skirl of the pipes and the beating of the drums of the pipe bands., but he was even prouder seeing his granddaughter Kerrie and grandson Daniel playing now with the Arbroath RBLS Pipe band. Dave regularly supported local Carnoustie charities and committees with the annual Carnoustie Gala Day being one of his happiest events. Dave left behind his beloved wife Margaret or “luvvie” as he affectionately called her. Dave leaves behind a company that he was truly proud of now firmly in the hands of his daughter Wendy and son-in-law Gary. A company which deserves his name, as well as Dave's own motto for service "Aye Ready". 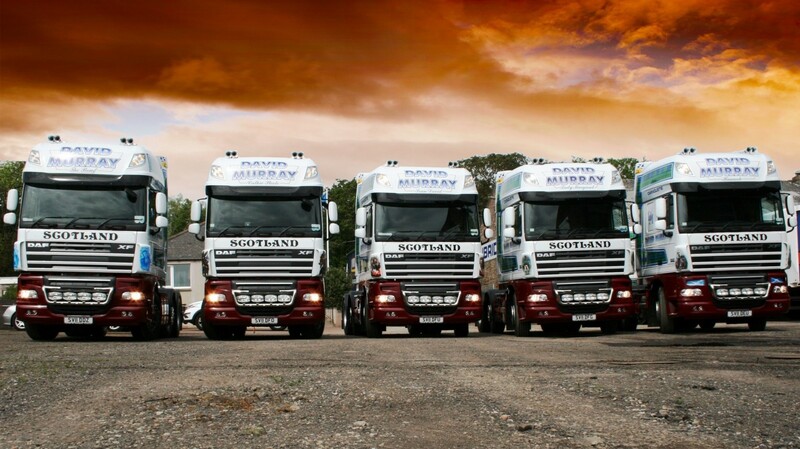 David Murray Transport are proud to announce a sponsorship with Carnoustie-based celtic rock band Gleadhraich who are are currently Angus Cultural Ambassadors for 2014. 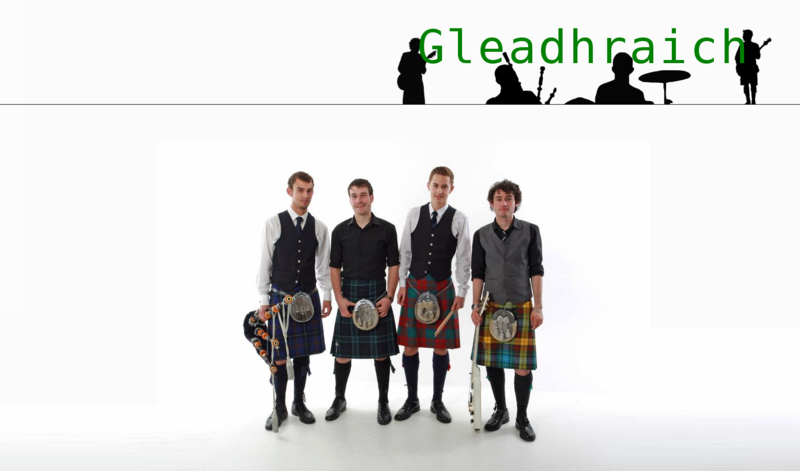 Gleadhraich formed in 2010 as students at Carnoustie High School and have grown to become one of the country's most in demand celtic acts with appearances all across the UK. The band released their debut EP, 'Pipe Dreams' in April 2014 and is available on iTunes now.